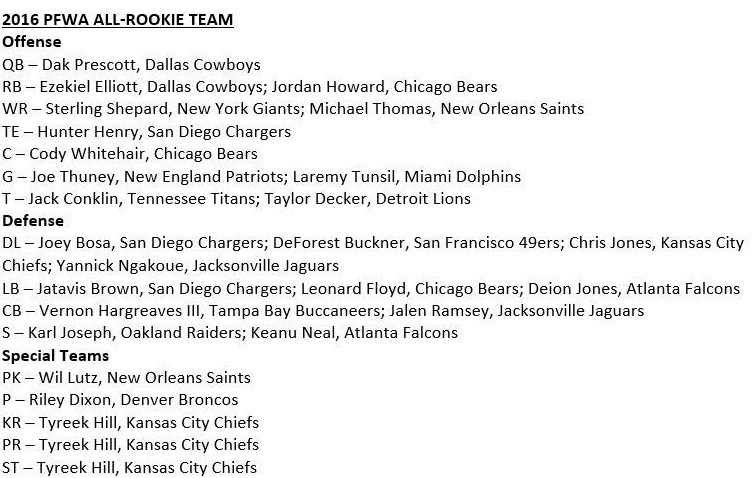 Home Players And Rumors Vernon Hargreaves named to PFWA’S ALL-ROOKIE TEAM. Vernon Hargreaves named to PFWA’S ALL-ROOKIE TEAM. Hargreaves was a bit of a question mark for a lot of fans due in part to his height, however, he proved that size does not matter, as he quickly moved up in the depth chart, from third string to the second and ultimately taking on the role of starter when the season began. Hargreaves played like a rookie, which was to be expected, but much to the delight of the Buccaneers and fans, he showed plenty of promise and played beyond what anyone could expect from a rookie cornerback. Playing in all 16 games last season, Hargreaves, recorded a combined 76 tackles, 68 of them solo, 9 passes defended, 1 interception, and 1 forced fumble. Although at times he did look like a certified rookie, other times he looked like a certified veteran. If Hargreaves showed us anything during the 2016 season, it was that he was the right pick and is more than capable of having a bright, and productive career with the Buccaneers. Alterraun Verner possibly on the Roster Bubble? Vernon Hargreaves III Poised For a Breakout In 2017? Previous articleMike Glennon to become an unrestricted free agent will the Jets pursue him?